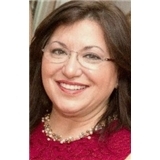 M.Michele Harutunian, DDS,PC (Franklin Square) - Book Appointment Online! Dr Harutunian is very sweet. The receptionist and the Hygienist was also very sweet. I felt so welcomed and at ease as soon as I walked it. It was a pleasant surprise at how nice everyone was. But most importantly... the both the Hygienist and the Dentist were very gentle. I have very sensitive teeth and a phobia of Dentists but I have to say that this was as good as any dental experience can get lol.